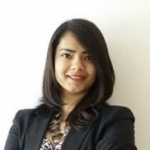 She is an IIT Kharagpur and IIM Bangalore Alumni having a combined experience of over 7 years. 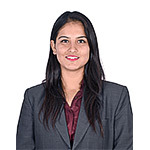 She holds a B.Tech, Biotechnology, a LLB degree with specialization in IP laws and an MBA from IIM Bangalore. She heads Business Development of IPexcel and is responsible for the growth of the organization. Her expertise includes Technology Analysis & Consulting, Intellectual Property Protection, Commercialization and Technology Scouting. She is highly active in the Start-up Ecosystem and brings a great network of connects to help companies find the right partners and customers. She has helped multiple companies with Technology Commercialization & Technology Scouting Services. On a social front, she is also the Secretary for the IIT Kharagpur Alumni Association. 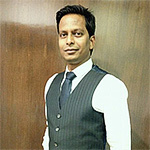 Dinkar Holds a B.Tech in Electronics and a LLB with Specialisation in Intellectual Property Laws. He is an IIT Kharagpur Alumni and has a decade of experience in supporting organizations to develop new and innovative technologies. Dinkar is responsible for managing High Quality & Timely Delivery of work products in IPexcel along with identifying strategic future growth areas for IPexcel. Prior to joining IPexcel, he has worked with General Electric (GE) for 7 years where he helped technologists in developing innovative technologies for GE. One of such projects include Wireless Power Transfer Technology where he played an instrumental role in developing a technology portfolio of wireless power transfer systems and applications, which was later commercialized with a strategic partner. He is an innovator and has filed multiple patent applications as an inventor. One of his patent applications includes US20160105036A1. He also has hands on experience in developing new ideas by designing around existing proprietary technologies. Dinkar holds the expertise of drafting more than 150 US patents and 200+ US & India Office actions and is trained directly by US Attorneys. 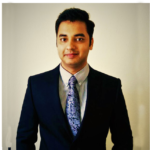 He is qualified in United States patent & trademark office equivalency examinations..
Anand is a Technology Analyst with over than 15+ years of experience in the Technology & Patent Domain. He holds Masters (Integrated) in Chemistry and Ph.D. in Materials Science both from Indian Institute of Technology (IIT), Kanpur, India. Over the years, he has gained immense hands-on experience in consulting Technologists & In-house R & D Teams of Fortune 50 organizations for developing, protecting and licensing innovative proprietary technologies. He has worked onsite/offsite extensively with global teams of attorneys, technologist and business leaders across many jurisdictions such as US, Europe, Canada, China, South Korea, Singapore, and Middle East. Prior to joining IPexcel, he has worked for 8+ years, in a Fortune 50 organization – General Electric (GE), where he provided Inhouse R&D teams with Technology & Competitive insights to help them in various stages of technology development & commercialization. He has also worked as a Senior Portfolio Manager at King Abdullah University of Science & Technology (KAUST), Saudi Arabia, where he was responsible for working closely with Technologists in creating, protecting, maintaining and commercializing IP Portfolios of KAUST. He was also a Director in an International Technology Consulting Firm, where he was responsible for driving growth of the Organization in global markets. Anand has also published 17 research papers in journals & conferences of International repute on Technology & TRIZ. He holds a Master’s degree from Robert Gordon University, Aberdeen, UK. 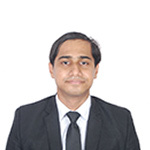 He is a Mechanical Engineer with overall 5 years of experience in Intellectual Property and technology domain. Before joining IPexcel, he has worked with General Electric (GE), where he evaluated Technologies and implemented ideas around various technology domains. His expertise lies in developing Technology Portfolio Strategies through Extensive Technology Landscapes, Technology & Patent Assessments, Competitive Intelligent reports and Freedom to Practice and White Space & Gap Analysis for R&D Areas. One of his expertise worth mentioning includes Oil & Gas.  He also works with the R&D and legal teams for developing risk mitigation strategies for various organizations. He also has experience in Patent drafting & Prosecution of US and Indian Patent applications. He has also published many International Papers in highly reputed international journals. 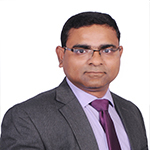 He holds a Master’s degree in Biotechnology and LLB with specialization in Intellectual Property Laws. He is an IIT Kharagpur Alumni and has an overall experience of 7 years in Patent Laws. His expertise lies in Patent Drafting and Patent Prosecution for India & abroad. He has drafted more than 300 Patent Applications for India, US, Europe and PCT and has prosecuted more than 250 Office Actions for India, US, and Europe. 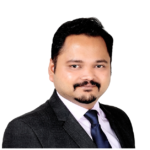 Prior to joining IPexcel, he worked for Fox Mandal & Associates, the oldest law firm in India with International presence. Apart from Patent drafting & Prosecution, he represents IPexcel at Various National and International Forums. She holds a Bachelor’s degree in Electronics & Communication and pursued her Masters in Instrumentation Technology from NIT Kurukshetra. 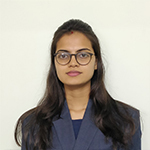 She has carried out research in Advance Optical systems at IIT Roorkee and presented technical poster in National Conference on “Nano Science and Instrumentation technology”. She has also published many international papers in highly reputed journals. 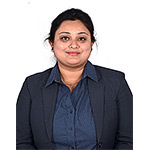 She majorly works with MNC’s and US Clients and has drafted more than 70 US Patent drafts in the Technologies such as Smart Cars, Electric Vehicles, Power Electronics, IOT, and AI. She has also carried out 50+ Patentability/ Novelty Assessment and developed full spectrum understanding of IP. She has also completed her Global IP certificate course on IPR offered by World Intellectual Property Organization. 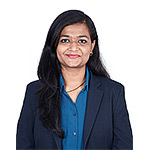 Kanmani holds a master’s degree in Intellectual Property Rights from Munich, Intellectual Property Law Centre, Munich. She has carried out various projects in the domain of Wireless power technology, Digital Image Processing and has a theoretical knowledge of Artificial Intelligence and Blockchain Technology. She specialises in Patent Law and has a working knowledge of other fields of IP. Her expertise includes Patentability Searches, Landscape searches, Freedom-to-Operate (FTO) Searches, Drafting of patent application and Prosecution. Sankar has an expertise in Drafting & Prosecuting Indian and US Patent Applications. He has drafted more than 70 patent applications (US, India & PCT) and has carried out more than 30 Patentability Searches in various technology domains such as Electronics, Mechanical and Computer Science. Prior to joining IPexcel, he has worked as Patent Engineer and Client Relationship Manager in an IP Firm, where he supported clients to convert their innovative ideas into intellectual property rights. 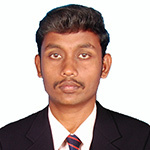 Sankar is an Electronics and Communication Engineer and graduated from Karpagam University, Coimbatore. Meghnad holds a B.Tech degree in Electrical Engineering and an LLB from IIT Kharagpur with Specialisation in Intellectual Property Laws. His expertise includes drafting of provisional & non- provisional patent applications, drafting of office actions responses and preparing patentability search & analysis reports. Also, he is well experienced with trademark, design, copyright and other Intellectual Property related matters. Prior to joining IPexcel, he has worked as an IP Analyst in an IP firm, where he was responsible for drafting and prosecution of patent applications while working closely with inventors. She holds a Bachelor’s & M.Tech degree in Computer Science from IIIT Bhubaneswar. She has done various projects in the domain of Cloud Computing, Computational Biology and Machine Learning and has also learnt a lot during doing research in the domain of Data Science, Machine Learning and Artificial Intelligence. She works on Patentability Searches and Patent Drafting in the areas of IOT, AI/ML, and Cloud Computing. She has also completed the global IP certificate course on IPR offered by World Intellectual Property Organization. She holds a Master’s in Computer Science & Technology from the Prestigious Punjab University, Chandigarh. She has done a lot of research in Image Processing domain and has learnt about Machine Learning and Artificial Intelligence during the same. It is worth mentioning that she attained 99 Percentile in her National Master’s Competitive Examination, which shows her technical capability. 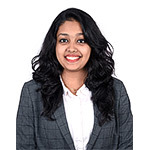 She works on Patentability/Novelty Assessments in the areas of Computer Science, Software, AI/ML. She has also completed the global IP certificate course on IPR offered by World Intellectual Property Organization. 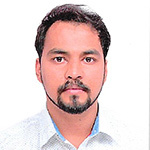 Rishi holds a B.Tech Degree in Electrical and Electronics from the Prestigious Vellore Institute of Technology, Vellore and works on Patentability/Novelty Assessments in the fields of Ecommerce, Electronics and Electrical. Prior to joining IPexcel, he has worked as a Business Analyst, where he supported organizations to analyse business opportunities. He has hands on experience in breaking-down the complex business scenarios into process and data models. He has a strong hold in Electrical and Electronics subject and has previously worked in areas of Power Electronics, and Instrumentation. He has carried out research in Power Electronics on topic “Power factor correction using quadratic boost converter for SMPS” at VIT. He has also completed the global IP certificate course on IPR offered by World Intellectual Property Organization. 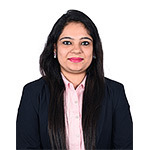 Mona holds a M.Tech degree in Information Systems Security & Engineering from NIT Jamshedpur, where she specialized in application of Machine Learning in Information security domain and has also a published a paper in an International Journal. Her expertise includes cryptography, information security technologies, and Machine Learning. 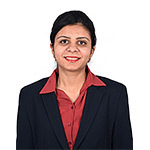 Prior to joining IPexcel, she was a Lecturer of Computer Security at NIT Calicut and mentored students in their projects related to information security domain. Currently, she performs patentability searches in the areas of information security, IOT and AI/ML. 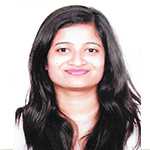 Pooja holds a Bachelor’s in Computer Science from Shaheed Bhagat Singh State Technical Campus, Ferozepur and Master’s in Computer Science from Thapar Institute of Engineering and Technology, Patiala. Her technical interest includes Image Processing, Machine Learning, Data Mining, Big Data and Cloud Computing. Specifically, she has carried out research in Medical diagnostic area and developed “An Automatic Image Enhancement and Analysis Technique for Detection of Head and Neck Cancer” using Image Processing and Machine Learning Techniques and the research paper was presented at “ICSCAN 2018”. 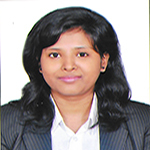 Prakriti holds a B.Tech degree in Electronics & Communication discipline and is a Certified Business Analyst. She has a prior work experience of 4+ years in Marketing and Analysis. She is eminent in PR skills and customer relationship management, developing the marketing strategy and plan, coordinating marketing campaigns with sales activities for business development. 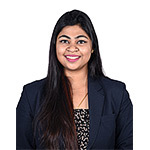 She has also presented papers in National Conferences and was awarded first for a paper on Super-capacitors based on Nano Technology, which was further published in an International Journal. She has carried out numerous Patentability/ Novelty Assessments. She has also completed the global IP certificate course on IPR offered by World Intellectual Property Organization. 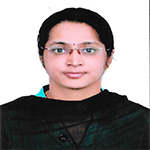 She did her B.Sc in Biotechnology from Gauhati University and MBA from the Prestigious Uttarakhand Technical University. She works as a Business Development Executive and is responsible for creating and managing new Leads for IPexcel. She holds a B.Tech degree in Computer Science from Mother Teresa Institute of Science & Technology & M.B.A in Marketing & H.R from Institute of Public Enterprise (IPE). She has a prior work experience in market research industry for more than 2 years. Her skills include Market forecasting, Surveying, Questionnaire analysis, charting the data, report writing, SWOT analysis, Company profiling, Secondary Research & Primary research. Vrinda holds a Bachelor’s degree in Electronics and Communication from Sir. M Visvesvaraya Institute of Technology. For her B.E. project, she designed a Special Type Testing Equipment (STTE) to detect errors in a data link LRU placed in UAVs by decoding the data generated by the LRU and displaying it on the device. Vrinda is also an avid sports person and she was part of the team that secured second place in Regional Level Hockey Championship twice. 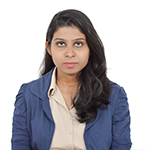 At IPexcel, she works as Internal Sales Executive and is responsible for generating new business leads for the organization. Her hobbies include Creative Making, Playing Guitar and Cooking. 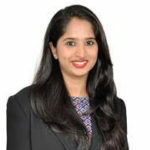 She holds a Post-Graduate Diploma in HRM from Symbiosis University and has great experience in filing Indian, US, International and other Patent Applications. She started as a paralegal in IPexcel and has grown due to her commitment and now holds a HR-Administrative Position in IPexcel. 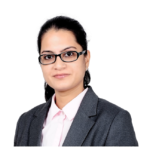 Previous to joining IPexcel, she has worked with FDDI (Ministry of Commerce & Industry, Govt. of India) as an Administrator for more than 2 years. Komal holds a BBA.LLB. degree from Karnataka State Law University and LLM in Intellectual Property Law from Symbiosis Law School, Pune. She currently handles the trademark related matters of registration, prosecution and opposition in sub-ordination with her Seniors. She has also completed the Global IP Certification course on IPR offered by World Intellectual Property Organisation. © 2018 IPflair. All Rights Reserved.